Battlefield 1 is, amazingly, the fifteenth installment of EA DICE’s successful Battlefield franchise. As the franchise has grown, so has the complexity of the game sound. Each release expands on the accomplishments of the one before it. 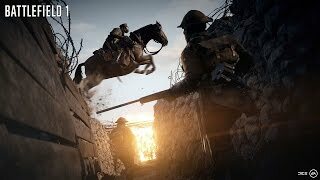 Battlefield 1’s sound features an impressive collection of weapons, a wide assortment of transportation options from horses to armored trains, and variable weather events. Battlefield 1 even offers Dolby Atmos playback for PC gamers. Orchestrating this epic audio undertaking is Bence Pajor, the audio director on Battlefield 1. He’s joined by Lead Sound Designers Andreas Almström and Mari Saastamoinen Minto. And because it really does take an army to make a AAA war game of this caliber, the DICE sound team was also supported by outside studios like Pole Position Production, and other contracted game audio pros, such as the team at Criterion Games in the UK. Here, Pajor, Almström, and Minto discuss just what it took to create the complex, realistic, and emotive sound of Battlefield 1. Looking back at such a long-running franchise as the Battlefield series, what have been some of the major milestones in terms of sound? And what were some of the most important lessons learned from the past games in the series that you could use for BF1? Bence Pajor (BP) – The leap from mono to stereo. The first huge step was moving away from the Battlefield 2 and Battlefield 2142 game engine, where all sounds were mono except for the first-person weapon sounds. For Battlefield: Bad Company in the Frostbite engine where we started using stereo sounds for all bigger and energetic events like weapons and explosions. Stereo feels so real because most of us have two ears and our brain is used to real stereo. We also wanted to have a much more dynamic mix. We wanted it to feel more like film or reality where loudness and energy of sounds have a perceived effect on other sounds. We wanted to make better use of the fairly small dynamic range a couple of speakers offer when portraying an extremely dynamic event like war – ranging from a falling leaf to an atomic bomb. The big problem being, how can you make the sound of the leaf quiet enough to still make the sound of the bomb feel hugely loud, while still being able to enjoy the calm sound of a falling leaf? We were really keen to play fewer sounds simultaneously than before, making the mix clearer. Since we were making a war game, loudness was the most obvious parameter to choose. So a loud sound is going to affect the amplitude of a quieter sound, making it quieter there by allowing a bigger difference in amplitude between the two sounds. The effect is that you perceive the sound we have chosen to be the louder one as even louder than the actual wave form is. This way the sound of an explosion can completely cancel the sound of let’s say a tree falling over. One sound instead of two. Or even one sound instead of twenty in a given moment. Basically, more clarity in the mix. Another big leap for us was when our technology allowed us to crossfade between different content depending on distance. Before, we had modeled the distance to a sound with filters. Now we can record the same event from several distances and just crossfade between them. We started recording these events not only from varying distances but also in different environments. A gun shot or an automatic rifle sounds very different when fired in a forest, in a concrete room, or out in an open field. This in turn together with memory constraints led us to the next level of making guns and explosions. When we still had to support the last generation of consoles and produce a huge game like Battlefield 3 we had very little runtime memory for sounds. It was impossible to fit the sounds of the all weapons and explosions – recorded at several distances and in different environments, in memory. So, we started looking at what aspects are shared and what aspects are unique for weapons and explosions. They all go boom in one way or another. But there are different calibers, different mechanics, and various rates of fire but these are still shared across many weapons. In the end, our list of shared and unique sounds needed was a lot shorter than the amount of different guns and explosions we had to make. We built something resembling gun and explosion-synthesizers, except they didn’t use synthesis. They used real recordings, chopped up in common and unique samples that we put together in the Frostbite engine. We could build a lot of guns using a few sounds. And since they were put together from a lot of pieces always moving depending on distance, environment, angle and rate of fire, they never sounded like a looped sample of a gun. One thing though that is crucial is that the source material we record or use always needs to have a natural life and energy that sort of propels and gives motion and direction to the sounds. For us it is impossible to make good immersive audio with static or “dead” recordings no matter what tech we have at hand. Everything needs to move all the time so the listener can’t get a grip or see through the illusion. Mari Saastamoinen Minto (MSM) – From a level audio point of view, namely the ambient effects, we have really honed our process which really came to the forefront with the Bad Company titles through to Battlefield 3 and Battlefield 4 and taken us to where we are today with Battlefield 1. We’ve explored dense jungles, snowy mountains, and dry deserts, to crumbled cities hit by earthquakes in the Middle East. We’ve visited cities like Shanghai, Paris, and Baku, and we have been plunged into typhoons, EMP blasts, and aboard carriers being torn apart. 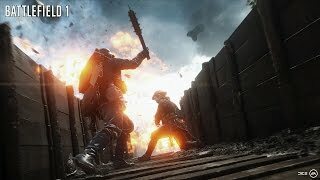 The level audio in Battlefield is an everlasting challenge that constantly changes, and as sound designers we need to really nail those soundscapes so the players feel immersed and also believe in the worlds we are building. With Battlefield: Bad Company 2 we really went for it, moving the large ambiences into surround content. Changing the ambient sounds and varying them depending on how the environment changes around you also works really well. You go from a field to a village to a forest to the beach to the open sea. Unique content for each area caters for constant change in the soundscape, keeping the level audio interesting. For Battlefield 1 all previous knowledge has now been put together and adapted to cater to the world of this game. Dynamic Weather was added and of course gave us new challenges but the most important thing is that you as a player should be able to close your eyes and feel you are really there — whether it be trenches, forest, desert or the French countryside at night. With Dynamic Weather all content for multiplayer would have to be quadrupled if we were to go the same way as with previous Battlefield games. Here we had to be really smart with content creation and time management. Also, the first map you sound design also takes the longest. Finding the frequency range where your ambiences cooperate with guns, explosions and vehicles, carving out and cutting off mid and low end, as well as being careful with high end content so it won´t take detail out of the guns or be tiresome for the ears. Rain is always a challenge for example and finding those perfect recordings of rain that aren’t just white noise. What did you hope to accomplish with sound on Battlefield 1? How did the team divide and conquer the different aspects of the sound? MSM – We are a very close team with a good team spirit. We look after one another and it really feels like a second family that over the years, like families do, grows with new team members as you become closer. Similar to Battlefield 4, we divided the team between our single player War Stories then also to multiplayer and core. Andreas and I, for example, have been working together since Battlefield 3 and know our strengths and weaknesses and we complement each other in these areas. Every individual in the team has their own specialty, be it technical sound design, content creation, code, music implementation or planning. On each project we come together and complement each other and help one another, no matter if it’s content, design, feedback, mixing or just meetings. Everyone is a doer and we are not afraid to question one another. We are all dedicated to the game we are building and at the same time we are good friends. I think this team spirit is what makes us create the things we do. Campaign/Story mode tells several grim tales through the eyes of different characters. How do you use sound to help reinforce the gravitas of the stories? MSM – A good example of this is during the Fall from Grace section of our War Story Friends in High Places where you start off by hanging in a tree in enemy territory. On the horizon you can see the frontline, and it looks like you have to go through a lot to get back home. Our challenge here was to make the world feel hostile, somewhere you don’t want to be, compared to the earlier section Test Flight which we wanted to feel romantic, to the excitement of the start of an adventure and freedom and joy flying planes in the sky. Whether you want to play Fall from Grace stealthily or not we needed the sound to be quiet but at the same time loud, to cover your presence and footsteps from the enemies. We worked a lot with the sound of The Great War being ever so present, weighing heavily on your chest as you progress through the level. Ominous birds, such as flocks of crows, are circling around, and rats run away from corpses. As you enter No Man’s Land and battle we make everything louder and work a lot with distant rumbles of thunder to make it feel as if the sky and earth is breaking apart as your character is forced to make a decision that impacts his life. What are some of the weather systems that a player will encounter? How much detail does the sound design go into for weather – and how did you use the audio system in the Frostbite engine to help manage the weather sound elements? MSM – You will encounter everything from a rough sandstorm in the desert, thunder and lightning by the Italian coast to a sunny day in a little French village where small birds are chirping and a soft breeze flows through the countryside. You’ll see how the weather changes and clouds get grey, the wind picks up and the weather moves to overcast and then later to rain or fog. We do add a lot of detail and love to our ambiences. We try and make them feel as real and geographically accurate as possible always researching what birds and animals are found in that specific part of the world. We’ve got a huge sound library that grows bigger every year. We are all interested in recording and creating our own content — be it weapons, first-person Foley or ambiences. For Battlefield 1 I used recordings my husband and I had from being on holiday in France or away in the desert in the UAE. For the storm I used a recording I did for Battlefield 4 on a boat. It’s just a very dynamic “wind in microphone” recording that really has that first-person perspective in its characteristics, and that is one of my secret weapons when it comes to sound designing storms. For rain I always bake in another one of my own favorite recordings, “rain on head”, recorded from inside the hood of my coat. Adding that to the ambience just gives that authentic first-person perspective of rain. So yes, a lot of detail goes into the creation of ambiences. On top of this, we have a randomized sound system called “big world sounds”. These are one shot sound effects, anything from birds to thunder, explosions or wind gusts. They can be mono or stereo, positioned near or far away from you, or both. They add one extra layer of detail to the quad ambiences, together with spot ambience sounds, such as windmills or running water to VFX sounds like falling dust, fires, lightning and smoldering wood. The variable weather meant we had a lot more content to create for each level because of the different settings. This meant we needed close collaboration with design, VFX, and lighting to make sure our systems played nicely together. It was a challenge timewise, not only for audio but for lighting and VFX, to make these weather changes work and the results turned out really great. We did set ourselves deadlines and deliverables. We created a design which defined each weather and what that would contain. For example, clear weather meant small birds and insects, soft breeze, and warmth, whereas overcast meant large birds like magpies, crows or a buzzard, to more wind and foliage, and a lot more wind gusts in the big world systems. Once we had defined what each weather event contained sound-wise we could apply this to the different settings. The ambience system we have allows for creativity and variation from a content point of view so we adapted and expanded that system to include variable weather. Our ambience systems also use raycasts now, to simplify implementation and the scaling of ambiences in a destructible environment where roofs can collapse and walls disappear. As mentioned, Battlefield 1 is out now for PC, Xbox One and PS4 – and if you want to get your hands (and ears) on the game, here’s where to find it. The game features everything from horses, planes, airships and tanks to armored trains and battleships… What were some of your favorite vehicles to design? How did you create their sounds? Andreas Almström (AA) – To start off with, the breadth of vehicles that we have is amazing, and setting out to create content for all of them was a huge challenge. We have sourced planes, tanks, armored cars, motorcycles, and boats with our friends at Pole Position Production who have been a great partner and it has been a great opportunity to actually see, feel and appreciate the hardware. For transport vehicles we worked very closely with our collegues over at Criterion Games in the UK. They have a lineage of building great sounding racing games so we challenged them to build off-terrain transport vehicles that rattle in contrast to the carbon fiber, no clearance, v10 perfection that they excel at. The results are there in-game where the transports now have a racing-level fidelity to gear shifts, surfaces, and the roars from under the hood. The behemoths were a lot of fun, but also a challenge because of their sheer size. They are very intricate with many seats and positions — some are closed such as turrets, and some are open like AA cannons and machine guns. The driver cares mostly about the engine while the rest of the players in the vehicle care more about their positions. A feature we managed to get in on the armored train is that you can alter the intensity and the pitch of the train whistle when playing with a controller. Together with the sounds of coal being shoveled into the furnace, the slow and heavy chugging it makes when starting, the sounds of the loose couplings between the carts, and the screeching breaks when it slowly comes to a stop; it all adds to the full experience of riding a 130-ton armored train. Was it difficult to track down era-appropriate weapons? Once you found appropriate weapons, where did you go to record them? And how did do bring everything together in audio system in Frostbite? BP – When going out to record the weapons we try of course to get our hands on as many as possible. Many of the weapons are museum pieces and couldn’t be handled or shot. We usually do several recordings with very different purposes, some sessions concentrate on the report from different environments such as forests, fields, mountains, trenches, barns and urban areas at all thinkable distances and configurations. Here it doesn’t really matter if it’s the exact model and make of a gun. Caliber, action and barrel length makes the most difference here. For recording, we mainly use stereo or surround setups, small handhelds, ABs, XYs, stereo shotguns at as many different distances as possible. Some sessions are mainly focused on the core elements of the weapons, like mechanic sounds during firing and the core report from the caliber. We try to do these sessions outdoors where there isn’t a clear report, deserts are preferable. We use everything from normal dynamic mics, kick mics to shotguns and lavaliers up-close. We also conduct Foley sessions where we focus on on getting the right guns, but substitutes with similar action and materials usually suffice. For miking, a good stereo pair straight above the gun together with a lavalier on the weapon is usually good enough, but as always, more is more! We perform the weapon Foley ourselves since we have a fairly good idea on how it needs to sound in the end. We did some of the sessions here in Sweden, but we’ve also been in California and Idaho. It’s all about finding the right locations that sounds great that lends itself well for shooting guns for days on end with as little interference as possible. Any fun field recordings for the flamethrowers and explosions? AA – A couple of years ago Ben Minto (Audio Director for Star Wars Battlefront, also developed by DICE in Stockholm) did a recording session of explosions in Finland that we have been using bits and pieces from. There is more to an explosion than the concussion of the blast though — there needs to be other elements that describes the energy and the size. Shrapnel, shockwave, environmental report and debris raining down on the soldier are some of the elements that we have worked a lot on for this game. For shrapnel we used bullet impact and flybys that we recorded and then sequenced to tell the story of shrapnel flying past the player. Recording debris is as easy as just throwing dirt up in the air and have it land on various surfaces, pieces of uniform, a helmet etc. We unfortunately haven’t had access to a flame thrower, but if there are any readers that are willing to help out please contact us! 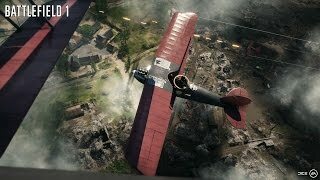 The PC version also offers Dolby Atmos playback – what are some highlights of the Atmos playback for Battlefield 1? BP – Dolby Atmos offers a more spacious soundscape I would say. By having ceiling speakers you get verticality what you don’t have in let’s say a 5.1 surround where all the speakers are in the same horizontal plane. Also spreading the number of sounds to many speakers instead of a few means you get fewer sounds per speaker and it sounds clearer I think. It’s of course very cool to hear a cannon projectile or an airplane fly past above you when you’re hiding in a trench. A big thanks Andreas Almström, Bence Pajor and Mari Saastamoinen Minto and the rest of the Battlefield 1 team for the inside-story behind that Battlefield sound – and to Jennifer Walden for the interview!